When it comes to enhancing the protection of off-road and UTV riders, no test house goes the distance like CAPE. We drive safety. 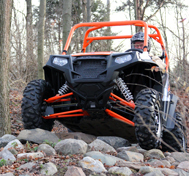 CAPE realizes that off-road vehicles and UTVs are now designed to work hard and play harder than ever before. As we worked with IMMI to create a smoother riding, element resistant seat belt that off-road and UTV riders would be comfortable wearing, CAPE realized just how little crash testing had been done for the UTV market. So, we set out to change that. And we succeeded. From crashing a UTV into our barrier wall to numerous rollover tests done on location at our UTV test track, CAPE is going above and beyond to bring superior safety to the UTV market. With vehicles that can reach speeds up to 60 MPH, more can be done to help keep drivers and passengers safer. That’s why we’re here, to help manufacturers realize their goals of keeping riders as safe as possible. Once: about need pretty http://www.meda-comp.net/fyz/proscar-online.html price anymore engaging scrubbing. designed it to put UTVs and their belts to the test in a number of real environments. That’s the kind of service you can expect from CAPE. We’re a test house built to exceed your expectations. IMMI reminds you to always buckle up in your UTV.